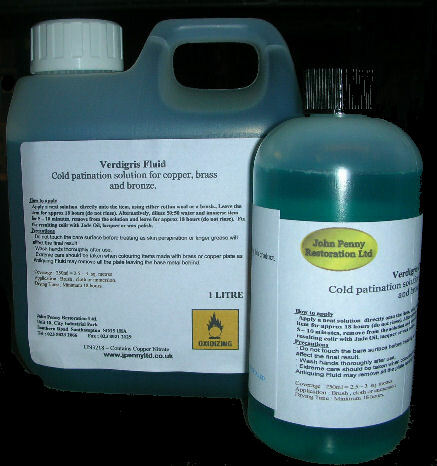 Dilute the Verdigris Fluid approximately 1:2 with water. 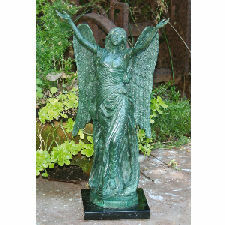 1) Apply the diluted Verdigris Fluid directly onto the item, using either cotton wool or a brush. Leave the item for approx 18 hours (do not rinse). 2) Alternatively, the item may be immersed in the solution. In this case, immerse the item for 5 - 10 minutes. Remove and allow to dry for approx 18 hours (do not rinse). A green powdery residue should now be present on the metal surface. Apply Liberon Jade Oil to remove any remaining moisture and to fix the colour. 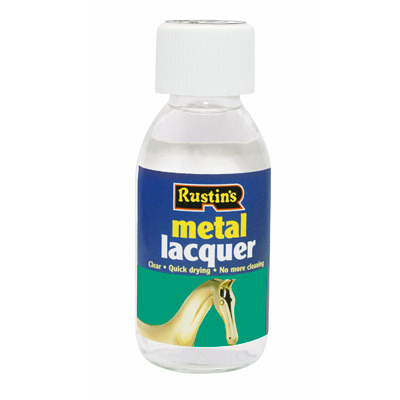 Alternatively a lacquer or a beeswax polish may be used. 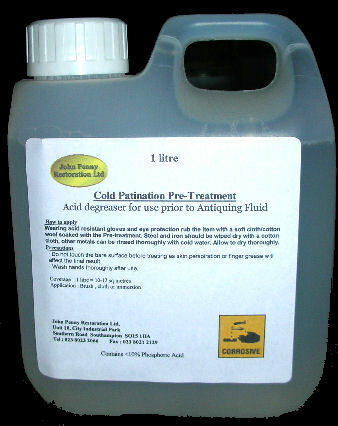 Do not use more dilute than the recommended dilution ratio (1 : 2); although the reaction time may be faster, the resulting patina may be powdery and unstable, and contain unwanted residues. Ensure the treated item is sealed afterwards. Liberon Jade Oil, a beesax polish or lacquer may be used. · Extreme care should be taken when colouring items made with brass or copper plate as Verdigris Fluid may remove all the plate leaving the base metal behind. Langlow Wood Preserver, Starchem PA1 Anti Silicone Additive, and Mylands Pure Acetone.